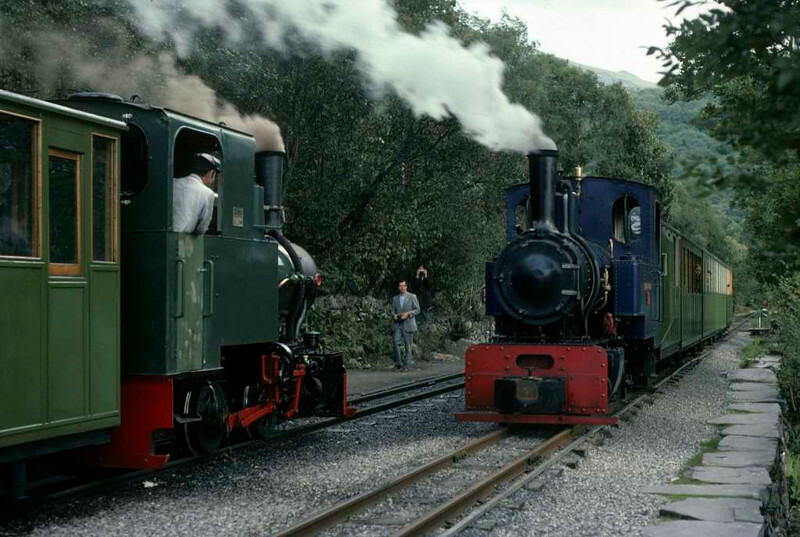 Cyclops & Helen Kathryn, Llanberis Lake Railway, 28 September 1975. The locos were heading trains to Gilfach Ddu and Penllyn respectively. Photo by Les Tindall.